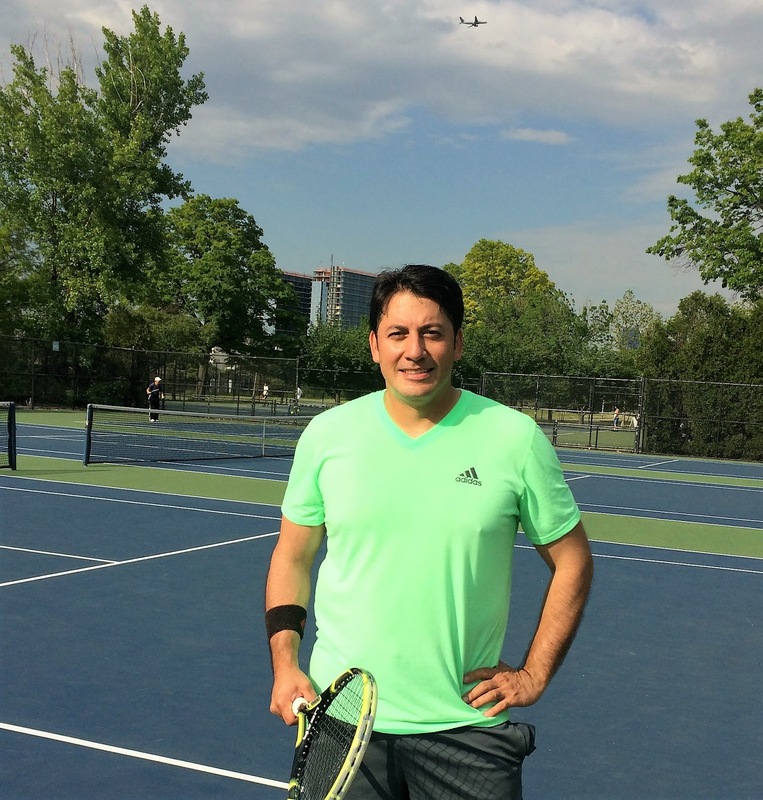 David Romero joins us today for another Tennis League Network interview. He grew up in Corona, Queens in New York City and still resides in NYC today. Growing up he played baseball and basketball, and he used to play drums in a band that featured Alternative and Rock music for a few years. Today, when he's not playing tennis he enjoys watching sports--basketball is right now is one of his favorite sports to watch. David loves to travel with his family--he has a two year old daughter and has been happily-married for six years. David's Profile: 53 wins 59 loses over 4 years of playing. Hi David, and thanks for joining us. We want to share your thoughts and experiences playing in TennisNewYork.com, a division of the Tennis League Network franchise, and to learn a little more about you. Firstly, how long have you been playing tennis? What got you started and what has kept you going? I used to play with my brother Eddie as a teen. He had access to his college tennis courts during the summer months. But I ended up putting tennis off after a couple of years only to pick it up again at age 34. I got the love of the game back when I visited my brother in Florida 4 years ago and I picked up the racket. Florida is definitely a great place to play when it's not too hot. Which league are you a member of and how long have you been participating in it? Also, how did you end up finding out about us? 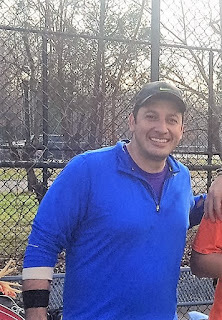 I am a member of the Brooklyn-Queens Advanced 2 Spring league, playing at a 3.5 level. 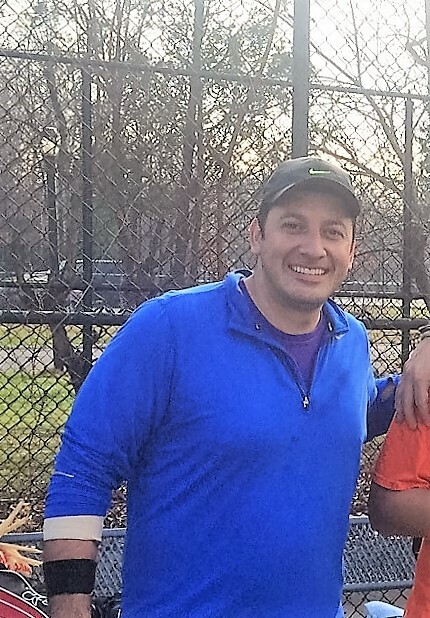 I have been participating in Tennis NY for 4 years, and I've been really active for the past three years. I found out about the league as when I was at Astoria Park awaiting for my regular tennis partner to arrive. I met a player who was at the time a participant in the league who recommended for me to play Tennis NY. So I looked into it and have been enjoying the competition ever since! That's great. And how often are you playing, in general and with the league? I usually play 2-3 times a week year round. Single matches mainly during Tennis New York seasons and doubles during the winter months. I mostly play on weekend mornings, but if I can find time during the week I play a few more matches. Is there anything that stands out to you about this league, or any positive experiences you'd like to share? I like the competitiveness of the players, I am very competitive by nature so it makes for some interesting matches. I’ve found the competitiveness to be an awesome way to unwind and escape from our everyday stress. Plus I enjoy the mental and physical strength that comes from playing tennis, some matches more so than others but every match has something to offer. Players have different styles, strengths and weaknesses. You need to make adjustments on the fly. Sometimes I've found out the hard way what happens if you don't make adjustments in a match. Momentum in a match can easily shift. You can be up one set and lose the match in 3 sets. This has happened in a recent match. You always must maintain your focus. I have developed many friendships and year-long rivalries. These rivalries are friendly and fierce. Over all the level of play is appropriated and well-grouped. That's some good advice that all players should take to heart. Now that you’ve played a couple dozen matches in the league, would you consider any of your Tennis New York opponents rivals? There are a few that come to mind but without a doubt I would say Greg McDonald. Our legacy record is 7-7 right now. The matches are so close. The results are back and forth. Its always fun battling. Any memorable matches? Either with Greg or any league members in general? I've played a very competitive and feisty player named Yuri Krainov. We've played a few 3 setters with different outcomes for each player of late. We have long, grueling rallies and physically demanding long matches. A recent match had me sore for close to a couple of weeks. Great stuff David, and thank you again for sharing all of this. Enjoy your matches this summer! Bryan great job with Dave's work. He's definitely a great ambassador for Tennis NY. He gets along with everybody.